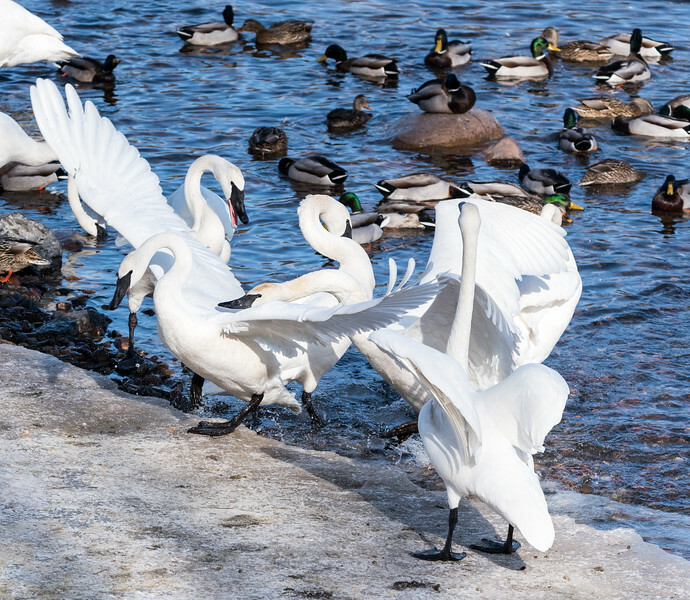 While watching the Trumpeter Swans in Monticello, MN this group got extremely loud and agitated. I'm guessing there is a female in that group and the boys started vying for favor. She left them all in the water to find peace on the small bit of ice along the river.